“Material Requirements Planning (MRP) is a computer-based production planning and inventory control system. MRP is concerned with both production scheduling and inventory control. It is a material control system that attempts to keep adequate inventory levels to assure that required materials are available when needed. 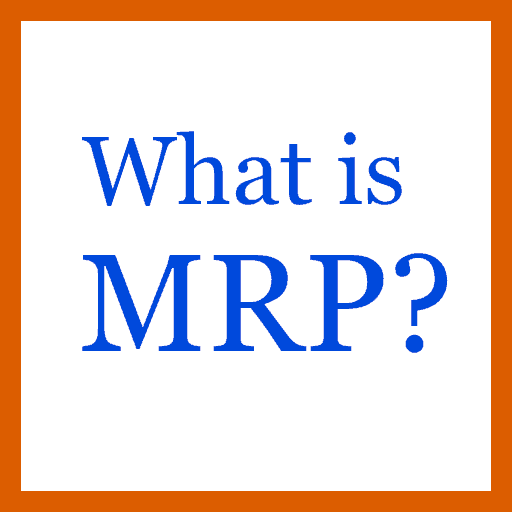 MRP is applicable in situations of multiple items with complex bills of materials. MRP is especially suited to manufacturing settings where the demand of many of the components and subassemblies depend on the demands of items that face external demands. Demand for end items are independent. In contrast, demand for components used to manufacture end items depend on the demands for the end items. The distinctions between independent and dependent demands are important in classifying inventory items and in developing systems to manage items within each demand classification. MRP systems were developed to cope better with dependent demand items. The three major inputs of an MRP system are the master production schedule, the product structure records, and the inventory status records. Without these basic inputs the MRP system cannot function. The demand for end items is scheduled over a number of time periods and recorded on a master production schedule (MPS). The master production schedule expresses how much of each item is wanted and when it is wanted. The MPS is developed from forecasts and firm customer orders for end items, safety stock requirements, and internal orders. MRP takes the master schedule for end items and translates it into individual time-phased component requirements. The product structure records, also known as bill of material records (BOM), contain information on every item or assembly required to produce end items. Information on each item, such as part number, description, quantity per assembly, next higher assembly, lead times, and quantity per end item, must be available. The inventory status records contain the status of all items in inventory, including on hand inventory and scheduled receipts. These records must be kept up to date, with each receipt, disbursement, or withdrawal documented to maintain record integrity. Learn more about how Passport Software’s MRP for Small Businesses can help your company. Or Contact Us – We are here to help.